The gang behind PowerCon/ThunderCon put together this promo and 2012 recap by Daniel Benedict. The mini-documentary features clips and interviews from last year’s show and encourages people to get in on the 2013 show. For information on Power Con 2013, check out the official site. A Bunch of Funko New Reveals! Get a behind the scenes look at the LEGO Teenage Mutant Ninja Turtles, which are hitting TRU stores a little early. This video focuses on the playsets, vehicles and models that are in the first assortment and how they are created. Lego TMNT sets will be in all stores in 2013. Get a behind the scenes look at the LEGO Teenage Mutant Ninja Turtles, which are hitting TRU stores a little early. This video focuses on the minifigures that are in the first assortment and how they are created. Lego TMNT sets will be in all stores in 2013. POWER-CON RETURNS IN 2013 TO CELEBRATE HE-MAN, SHE-RA, NINJA TURTLES, AND THUNDERCATS! Battle Beasts #2 from IDW Attacks Your Comic Shop This Week! 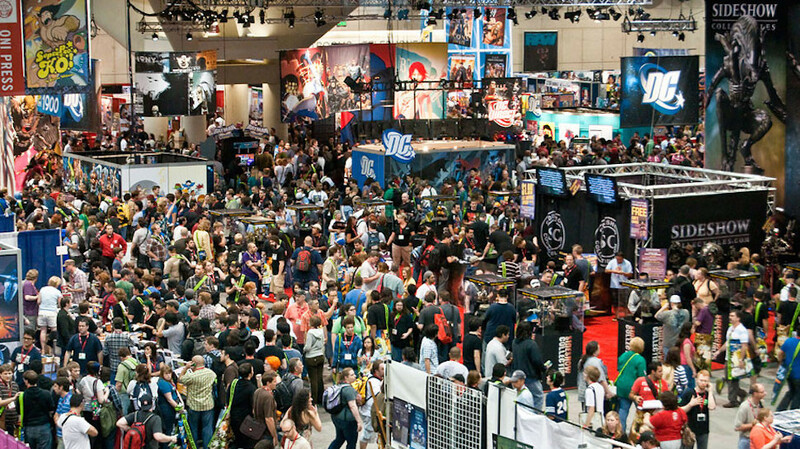 Where Will You Stand This Comic-Con? Pledge Your Allegiance to The Shell or The Foot! San Diego, Calif. – July 11, 2012 – To celebrate the upcoming Sept. 29 launch of the all-new, CG-animated series Teenage Mutant Ninja Turtles, Nickelodeon is launching an immersive, experiential campaign at Comic-Con International: San Diego 2012 — ‘Turtles vs….